Sorry, no price matching on this item at this time. 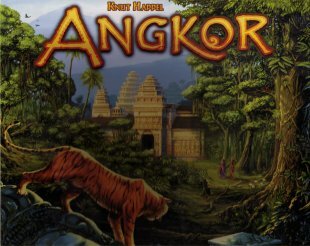 Angkor is a very competitive game where you have to make a tough choice every turn do I try to improve my own temples or hinder my opponents? This coupled with a semi-random duration of the game, creates a tense and highly competitive game where you can never feel certain of keeping ahead. Components are beautiful too.